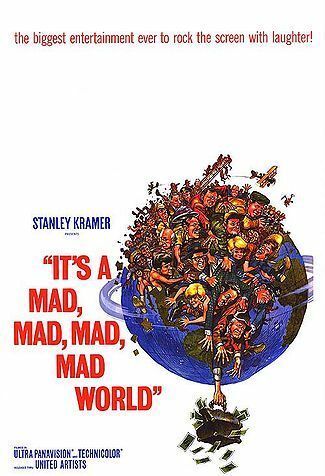 Well, this carefree comedy was a great way of escaping the often grim realities of this truly, “Mad, Mad, Mad, Mad World”, for several hours! And in this respect, that “feel-good” Hollywood movie makes a somewhat appropriate introduction to today’s devotional. Have you ever heard the expression, “To work like the Devil”? Well, there are many aspects of Satan that people don’t know about. Satan presiding at the Infernal Council – Wikipedia – US Public Domain. And just look at all the hard working people, “busting their chops each day”, trying to support their family! How can THAT be a product of Satan’s world of sin? Well, perhaps this above verse is merely speaking of the really bad people of the world. Yes, maybe it’s just talking about those thieves and murders, and druggies, and perverts out there in the dark back-alleys of the world. Yes, this above verse defines just who it is that God considers wicked! Us! All we who still have wickedness in our hearts! Yes, the fact is, we’re all wicked! EVERY THING BUT THE RIGHT THING! Now have you ever heard this above saying, “Every thing but the right thing”? Well, that’s not exactly a Bible verse, but it does indeed present a biblical concept. You see, we citizens of this selfish planet have been doing every thing but the right thing in our daily labors. Oh yes, we must work and provide for our families. But even such animals as sloths do that! And most all creatures take care of their families! But “the god of this world” doesn’t care if we go to our graves with the reputation of being a hard worker! No, as a matter of fact, that just gives his selfish kingdom a nice shiny outward veneer! And so, “the prince of the power of the air, that spirit which now works in the children of disobedience”, quite often inspires the world’s citizens to engage in every work but the right work: to lead themselves and their loved ones on the upward pathway out of this world, through the knowledge of Jesus, and the purification of their heart: this is the right work! And those who engage in that right work will automatically take care of every other necessary duty in life. Unfortunately, most humans neglect that one critically important work and do every other thing, thus causing their entire life to be built on a sandy foundation! And as the sub-title of this devotional is “It’s a Gad, Gad, Gad, Gad World”, so too, we humans are locked in to gadding about life, looking for the easiest, the most pleasurable, or the most profitable selfish work possible! Oh yes, we may have the reputation of being a “workaholic”. 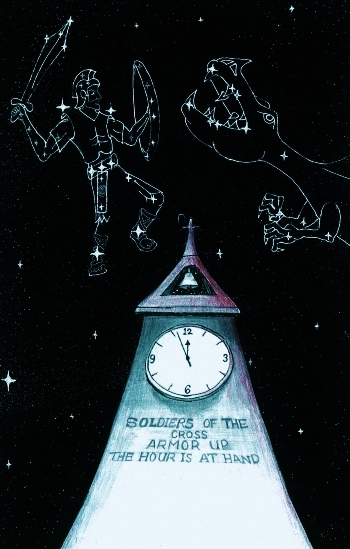 But in reality, most of the time, our work ethics are the product of the Antichrist spirit which dwells in us. Yes, that hard workin’ “god of this world” makes very sure that we do every other work but the right work: the purification of our heart, and the leading of our loved ones out of this selfish world and upward and onward to the Celestial City of God! Well, the Good News is, that today is still the day of Salvation! And we can beg the Lord t o put it into our hearts to joyfully and prayerfully read the Bible each day in hopes of finding more and more about Jesus. And we can spend our day keeping our wonderful Savior before us in our mind’s eye. And we can devote the rest of our lives in praying for and encouraging others to join the current-day end-time exodus out of this doomed, “City of Destruction”: Planet Earth. And then, with these entirely new motives, we can enthusiastically go about our daily labor, with hearts on fire for Jesus, and minds focused upon His Word! O NOBLE BEREAN: This is a chapter of the audio book about the Gospel of Jesus Christ in His life and ministry.